My goal as a puppeteer and puppet designer is to produce captivating and engaging stories while pushing the boundaries of what a puppet is and how it is performed. With a Bachelors of Fine Arts degree in Theatre/Puppetry from the California Institute of the Arts (CalArts) my puppetry work has been seen in fringe festivals worldwide. As a member of SAG-AFTRA, I have worked with fine companies such as: The Muppet Studios, The Jim Henson Creature Shop, Puppet Heap, Walt Disney Imagineering and the Chiodo Brothers. As a performer my passion for puppetry started at a young age. I started performing for my classmates in elementary school and since then I have worked and trained with many of the top puppeteers and puppet designers working in film, television and theater. I am available for performance projects on case by case basis. My performance reel and portfolio may be viewed on this website. For additional information concerning specific projects and my resume please feel free to contact me. 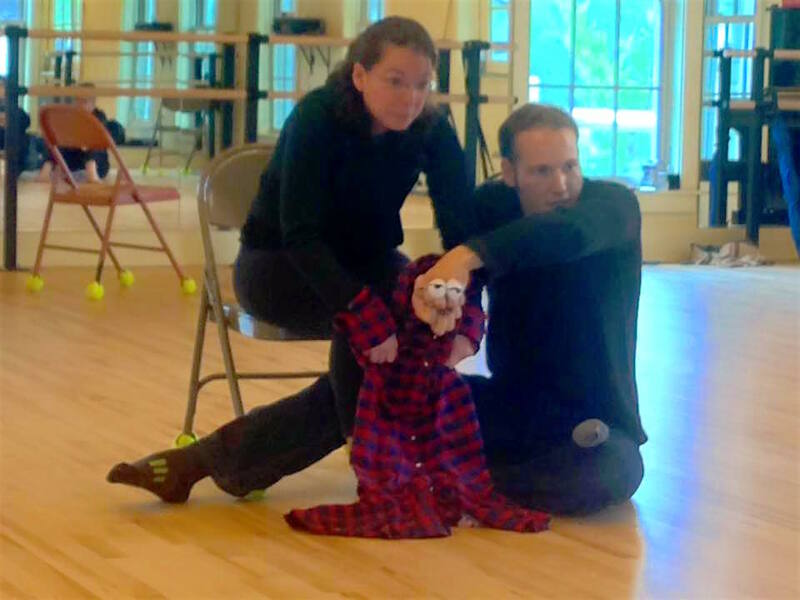 A BFA in theatre specializing in puppetry under the guidance of Janie Geiser & Susan Simpson.